Slack has been widely regarded as the email killer, but a recent update to the service makes it more of an email absorber instead. A blog post from the company said that users with Standard or Plus subscriptions can now integrate email into slack. 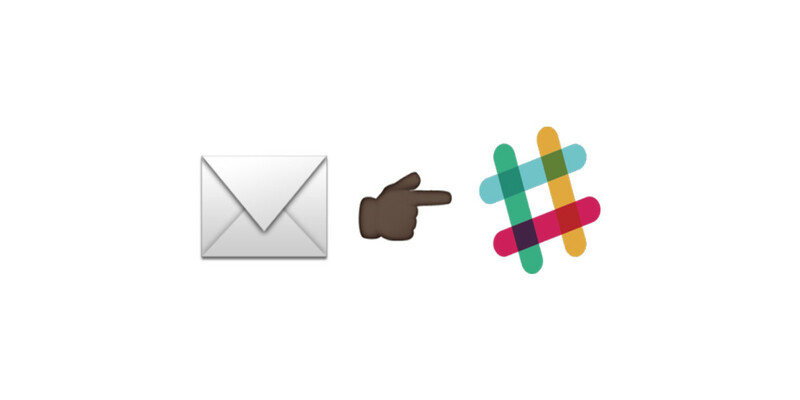 Yes, now you can now direct email into any preset Slack Channel. Select the “Email” integration, label your email pipeline, and direct it to a channel. Slack will then generate a special secret email address that you can use when setting up your mail forwarding. Repeat as necessary. The result is not only an alert for every time that email channel is pinged, but also a completely searchable index of the content of those emails. If there’s a service you’ve used for years and always wished they integrated into Slack, chances are you could get most of what you want today by giving them a channel-specific secret email address so that the email they already send you arrives in the desired channel. So now you can have your Slack and your email all in one place.